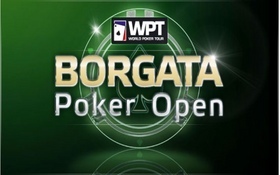 With a record-setting field and nearly $1 million set to be awarded to the winner of the 2011 WPT Borgata Poker Open tensions were running extremely high from the outset. There was no better evidence of this than a near altercation between final table chip-leader Fred Goldberg and members Bobby Oboodi’s rail. After Oboodi’s friends and supporters were chided by Goldeberg for their loud celebrations, Goldberg approached the rail and a heated argument ensued, forcing Borgata security to step in and remove two members of the rail. Back at the tables Goldberg was visibly tilted by the whole situation, Oboodi kept his cool and managed to capture the first major tournament victory of his young career –Goldberg would bust out of the tournament in a disappointing 4th place, pocketing $280k. Throughout the final table Oboodi was dominant, holding a massive chip-lead for most of the day. While Oboodi may not be a household name in the mainstream poker world, the New Jersey native is well known on the professional poker scene, and is one of the East Coast’s top cash game poker players. This entry was posted on Saturday, September 24th, 2011 at 12:19 pm and is filed under Poker News. You can follow any responses to this entry through the RSS 2.0 feed. You can leave a response, or trackback from your own site.